« WEEDEATER Announce U.S. Headlining Tour With ASG & TOKE! 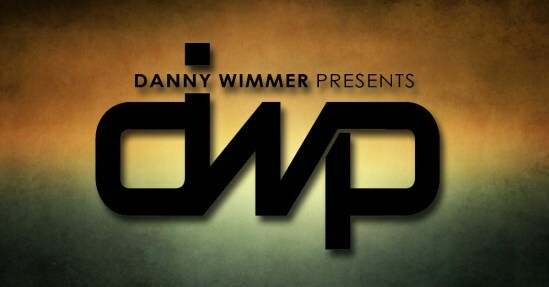 Danny Wimmer Presents (DWP) has become a household name in the music industry, especially for festival-goers. 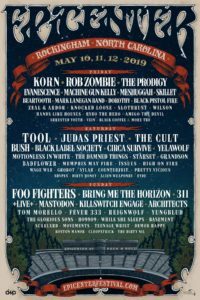 The DWP team has brought us Rock On The Range, Welcome To Rockville, Carolina Rebellion, Louder Than Life, Chicago Open Air, Aftershock, Rock Allegiance, Bourbon & Beyond, Northern Invasion, Fort Rock, and the new festivals premiering this year: Epicenter, Sonic Temple, and Hometown Rising. 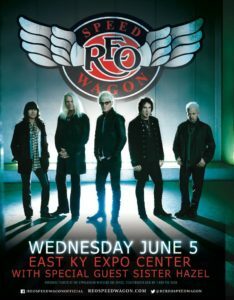 Their festivals exceeded 700,000 in attendance in 2017 and have had 100’s of millions of dollars in economic impact in the cities in which they have held events; and they were ranked the 26th best promoter in the world according to Pollstar in 2017. The reason they are so successful is because their passion lies in the music and not in the profit margins. Year in and year out they bring international artists, both large and small, to music-hungry cities around the United States. The stages they built have helped smaller bands build their fan base, and in return, those bands are becoming our future headliners. 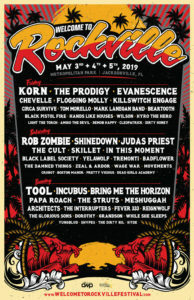 In the past several years we have seen them bring in legacy acts, reunions, and some of the world’s biggest bands to perform at these festivals. Just to name a few, they have booked Metallica, Ozzy Osbourne, Rammstein, KISS, Tool, Red Hot Chili Peppers, System of A Down, Judas Priest, and various others. Of course after doing this for as many years as they have, the list of headline-worthy bands they have yet to book is dwindling down. What big name bands could they book that they haven’t already in the past? 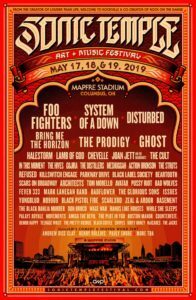 In a recent interview with Maximum Alternative, DWP founder Danny Wimmer and Senior Vice President of Festival Talent Gary Spivack mention a couple bands they have been in talks with or have interest in booking in the future. They are asked about the overall health of rock music and their take on people claiming rock is dead. Danny Wimmer states “I’m so excited right now. 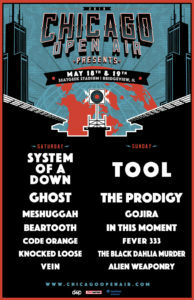 We have the Foo Fighters and Tool this year and have had Metallica and Red Hot Chili Peppers involved over the years. We’re talking to Pearl Jam for the first time, though nothing is confirmed on that end yet.” Of course the festival has showcased pretty much all the remaining grunge-era bands like Stone Temple Pilots, Soundgarden, Alice in Chains and more; but Pearl Jam is one of the remaining few grunge bands that is still intact with their original singer, and that would be a huge headliner regardless which of DWP’s festivals they were to play. They are also asked “Have you guys thought about bringing in some of the leading alt bands like Imagine Dragons and Panic! At The Disco that can sell out arenas?” Gary replies “The short answer is yes. The door is open. We’re not going to say no to anything as long as the energy and attitude is there.” To which Danny adds in part of his statement, “We challenge each other to think outside the box on certain things, but before we go to Imagine Dragons we want Jack White. He belongs with us. He’s a badass. He is a rock & roll movement and an incredible entertainer.” Jack White of course is most well known for his band The White Stripes which hasn’t been active since 2011. He also has two other bands, Raconteurs, Dead Weather, and an active solo career that has just seen the release of his third record ‘Boarding House Reach’ last year. Jack White, in any capacity, would be an amazing entertainer to see. We certainly agree that he is a badass. While these are just ideas for future headliners, we certainly appreciate the time and effort they put into acquiring talent. I was told that Metallica playing Rock On The Range was something that took years to make happen, so all we can do is sit back and look forward to the headliners they bring us in the future. In the remainder of the interview the pair talk about being involved in Woodstock 50 and how Micheal Lang asked them to help book it. 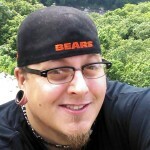 They talk about what is different about the newly-branded festivals, Sonic Temple and Epicenter, and they also speak about the work that goes into the festivals and also secondary entertainment by having the original cast of That Metal Show at Epicenter and bringing comedians to Sonic Temple. You can check out the full interview here. Tagged Danny Wimmer, DWP, epicenter, Gary Spivack, Imagine Dragons, Jack White, Panic At The Disco, Peal Jam, presents, sonic temple. Bookmark the permalink.